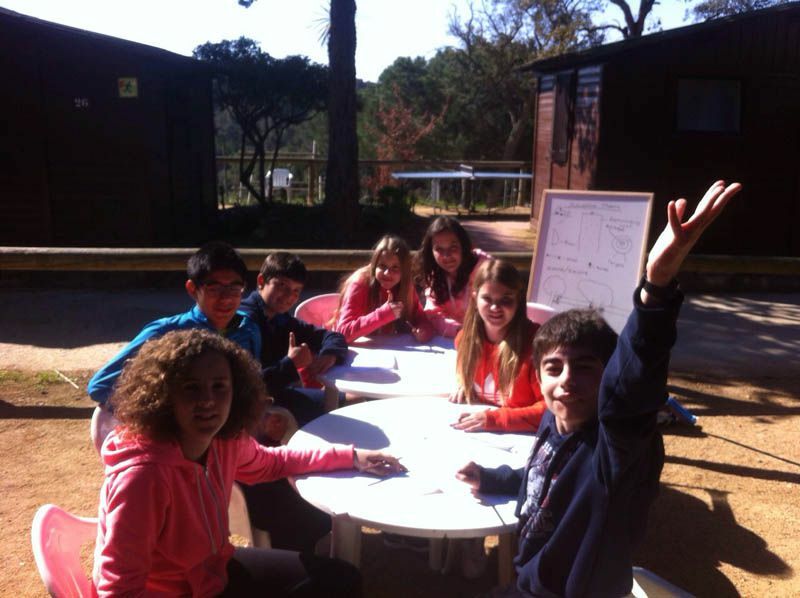 Our English week is the star product of Grupos Organizados. 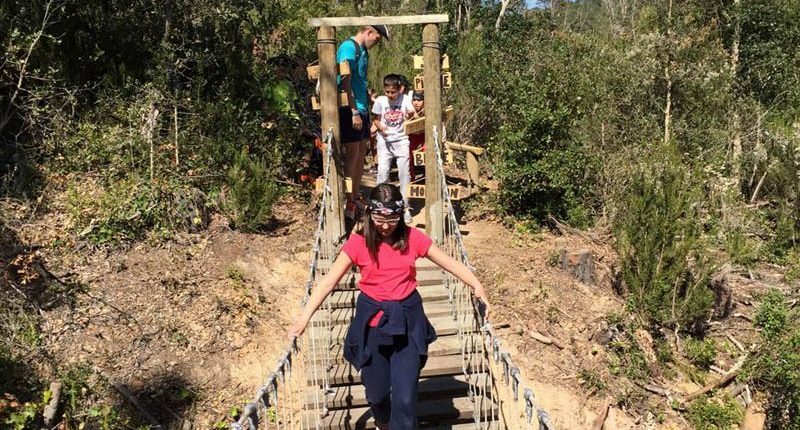 It is a stay centered on the practice of English of school students with our native English speakers via an intense coexistence with them while performing a multitude of activities in the natural environment. It is a stay where students come to us to practice “real English”, the everyday English they would use if they travelled to an English speaking country. We want our students to live firsthand what it would be like to be surrounded by the language. 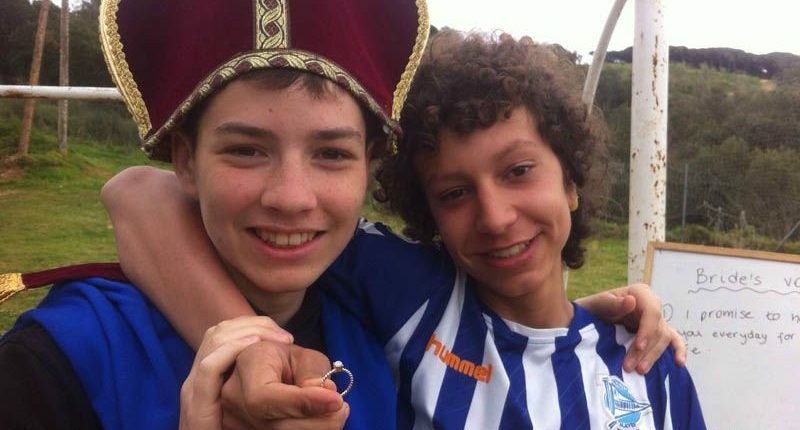 This is done in a real context of communication so in that way they feel that all of the English they study in school has meaning and there is a final result. For this philosophy to be carried out successfully the children are immersed in an environment and a context in which the practice of English becomes a must, as our entire team only communicates with students in English; from the director of the organization to the management staff to the monitors. Students enjoy an English programme that is varied and appropriate to their age. 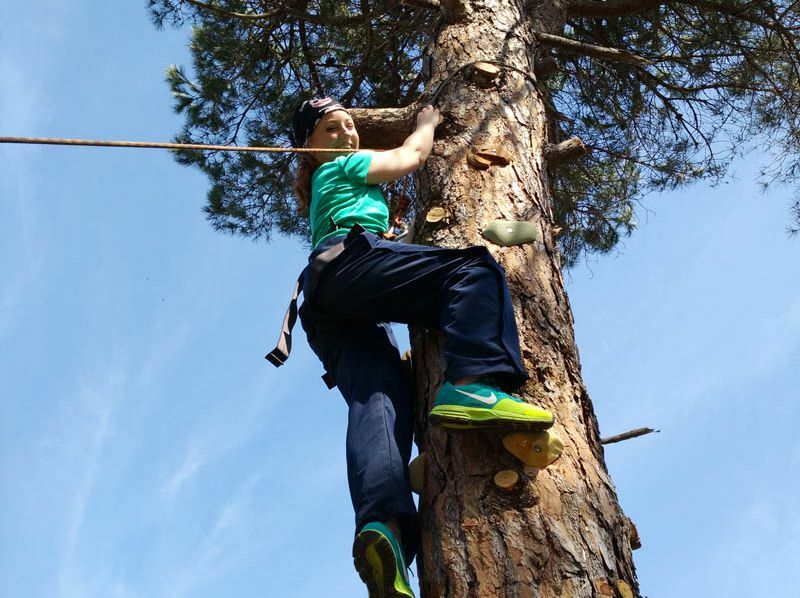 The main attractions of this programme for the students are the physical sport activities in the outdoor environment, such as: Water sports activities and our adventure park activities. 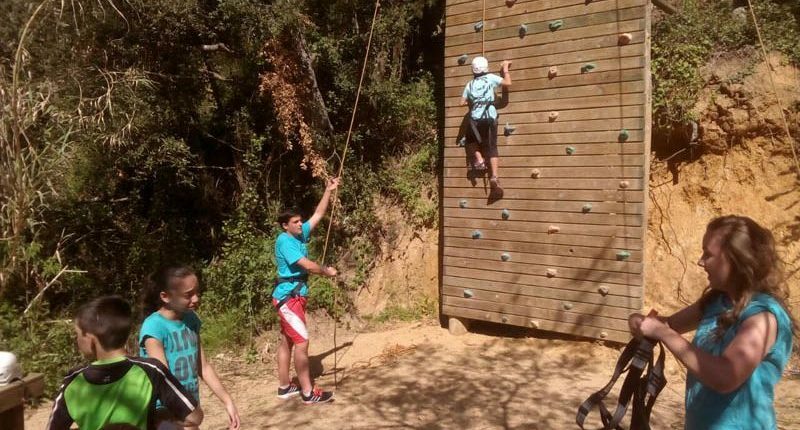 All the activities are conducted through English, allowing us to introduce to the students some of their passions such as kayaking, snorkeling, archery, climbing, zip line, orienteering and much more. 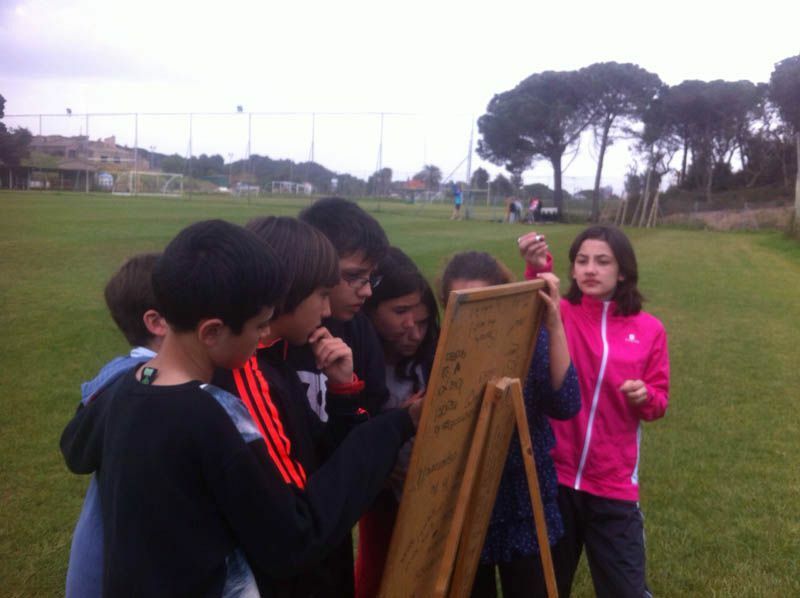 Grupos Organizados uses the English week to design programmes customized for each group, taking into account their age and level of English. Teachers may or may not participate because for most of the day, we take responsibility for the students. In short, children end up living an intense experience where human contact is the most important, fun is the common denominator and the English language is the rationale. This is all done in a natural way where everyone enjoys, has fun and learns English without even realising it. We offer a five day four night stay; Groups can arrive during Monday morning from 09:00 and depart on Friday afternoon until 18:00. This includes two meals Monday and Friday. This means that we include the full board with accommodation in wooden bungalows and three meals per day in a wonderful self service area. This is on top of all the activities and English lessons. How many hours of English will I receive? This is a difficult question to answer for Grupos Organizados as we live and work all through English. From the moment that the students get off the bus or train they are welcomed with “Hello my name is…” up until the day they leave with “Bye, it has been a great week…”. With this being said, during their free time students may not be immersed in the language when they are under the responsibility of their accompanying teachers. If their accompanying teachers choose to communicate with them in English, better, if not, then there will be some form of Spanish communication. This means that every child that comes to Grupos Organizados comes to live in English for a minimum of seven hours a day. Our group monitors are natives and do not speak Spanish. These hours do not include hours outside of the programme where students enjoy the company of our monitors at the disco, the swimming pool or just playing ping pong. We always speak English no matter what the topic is. 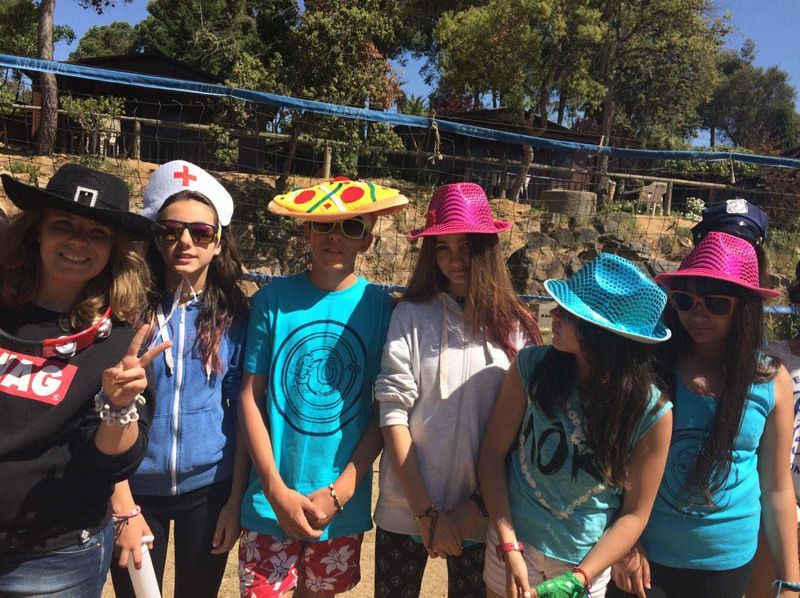 With all of this in mind we can say that the stay at Grupos Organizados is total immersion in the English language and every child that comes to us lives, experiences and enjoys the benefits of having fun while speaking English. We take into account the level of English of each group. 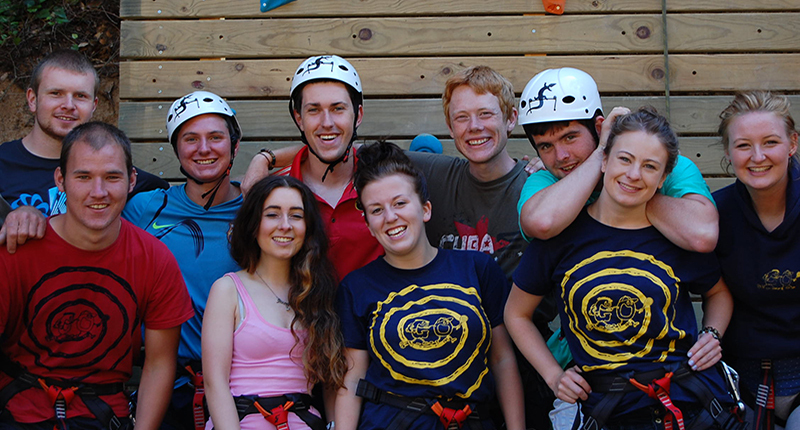 Each group that comes to us has a programme designed to cater the groups’ age and level of English. We at Grupos Organizados know the level of the group by communicating with the schools teachers. The age of the group is not always a good indication of the level of English that the group has. We have to take into account the hours of real English the group receives in school and the quality of these hours. Nowadays, for example, there are more bilingual schools available, where subjects such as geography and history are taught only in English. This means that these schools receive more hours of real spoken English. Teachers and students don´t talk about the English language, but instead talk about world issues by using English as the communicative tool. Students who are only permitted to speak English tend to start thinking in English, which in turn allows their speaking to come more naturally. As a result of bilingual schools, this could mean an eleven year old child could have a higher level of English than a sixteen year old teenager. 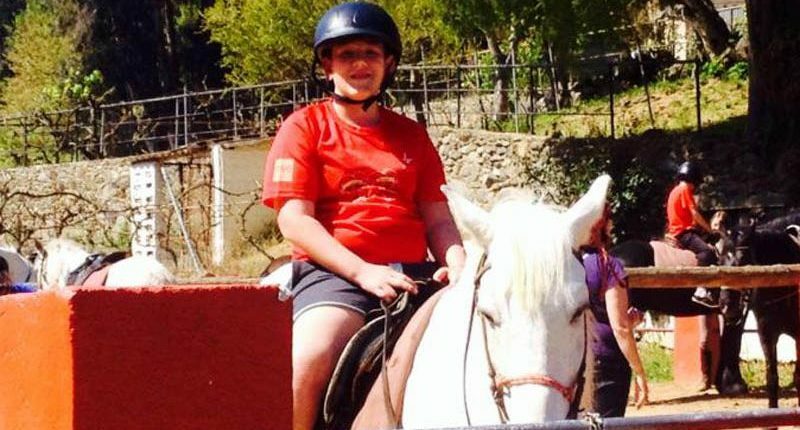 Grupos Organizados takes into account all of these aspects while doing out the programme, to ensure that each child comes and enjoys themselves to the maximum. We know from years of experience that we will never get a child to live and love the English language if they are not having fun and enjoying themselves. This is something that can be done by simply adapting our programme to their English needs and abilities. 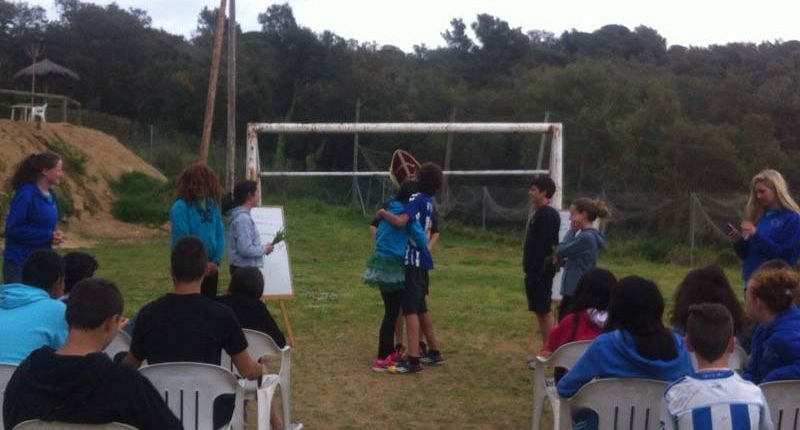 Before our groups leave, each student receives a diploma to show that they have completed a five day English stay with Grupos Organizados. 9:30 A little free time before starting: students can play tennis, soccer, volleyball, ping pong. 10:00 Start programme with Grupos Organizados. Explanation of the morning by the monitor in English. 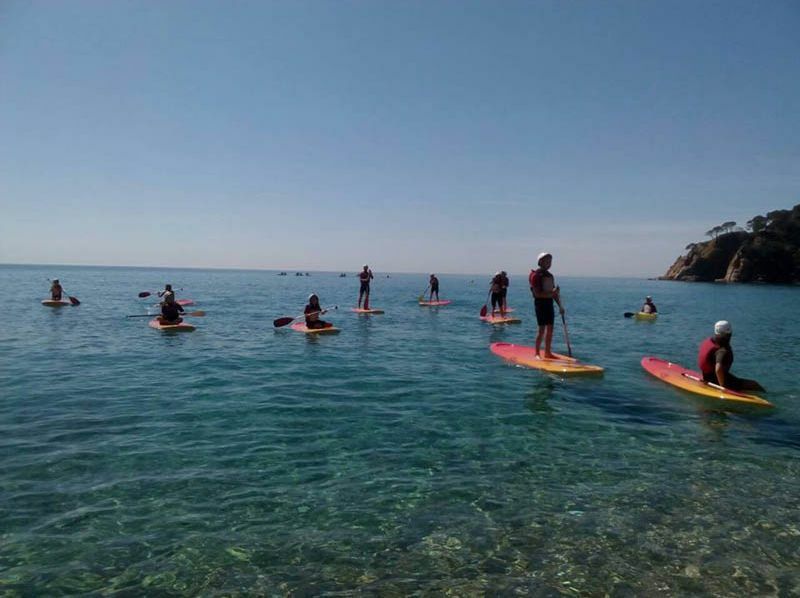 Activity: Water sports; kayaking, padel surf, pedalos etc. 12:30 Students return to the campsite to shower and get ready for lunch. 15:00 Afternoon programme begins with our English monitors. Monitors give an explanation of the afternoon activities. 19:00 Our programme finishes. Students return to their bungalows to shower and enjoy some time for themselves where they can go to the supermarket, go to the swimming pool, phone home etc. 21:30 DISCO: Music for all tastes. Our DJ plays music that children are always asking for and we have between three and five English speaking monitors available to dance, have fun and chat with the students while they let loose to some of the most popular songs. 00:00 SILENCE on the campsite. *From 00:00 the only noise heard is that of the night watchmen making their rounds and controlling the area, making sure everyone has a peaceful nights rest in order to be prepared for another fun filled day of English. 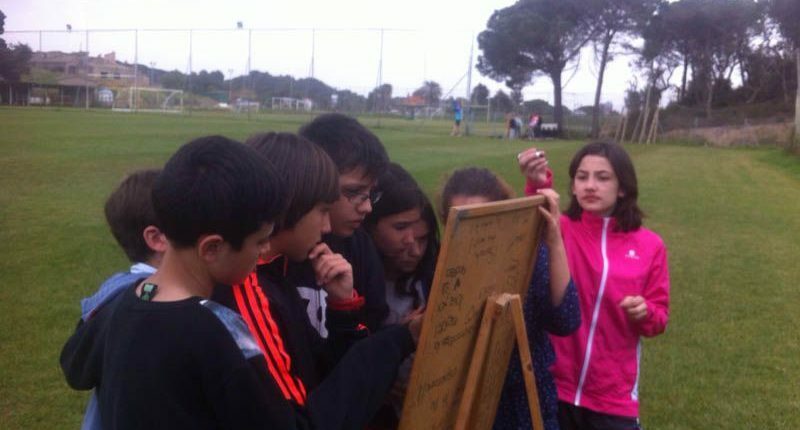 Grupos Organizados offers many sports and recreational activities in order to let our groups have fun and practice their English in the best possible way. 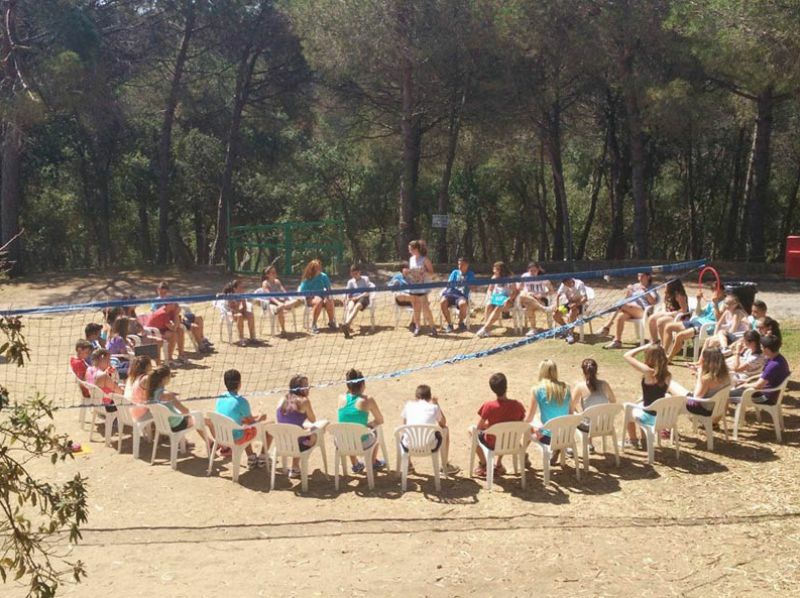 Each activity is introduced depending on the school and their programme. 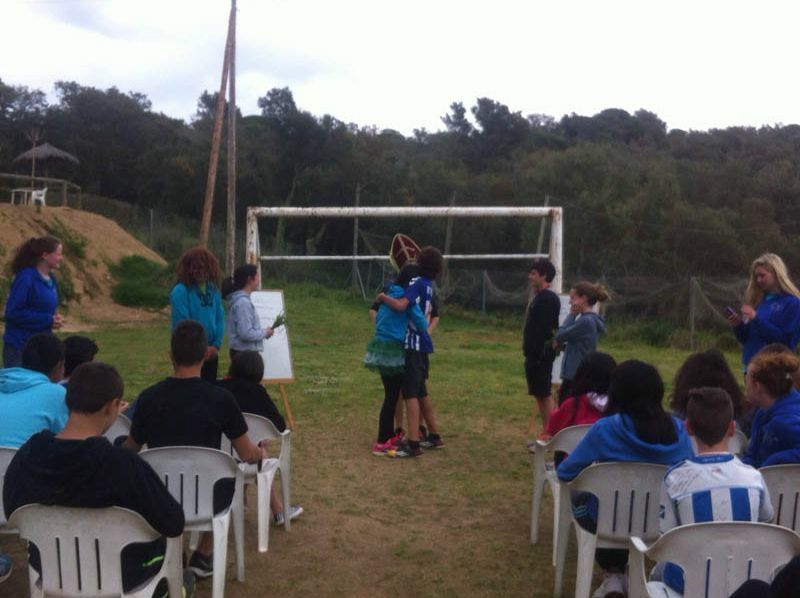 They are carried out with groups in different ways to encourage interest, motivation and participation. All of our activities are carried out by highly qualified and professional staff with the assistance of our English speaking monitors. Our activities are conducted according to the legal European standards in all areas with addition to all of our insurance policies, liabilities and the activities themselves. 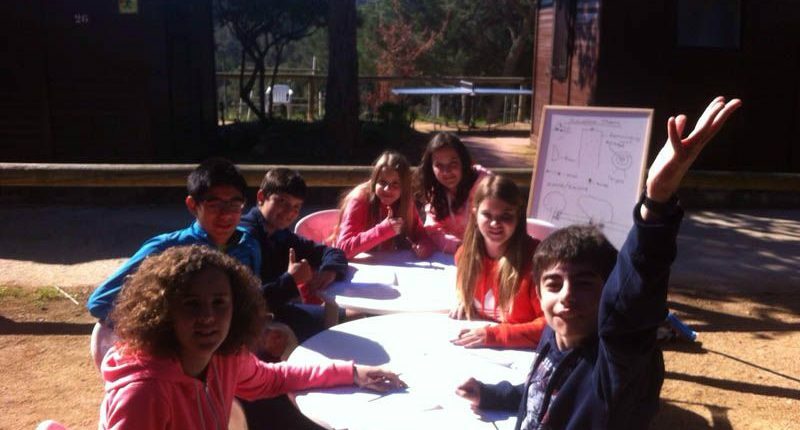 Before each outdoor activity, our English monitors give their group a lecture in English so that all children can become familiar with the specific vocabulary needed in order to do as much English as possible. Please take into account, during these activities safety comes before English. 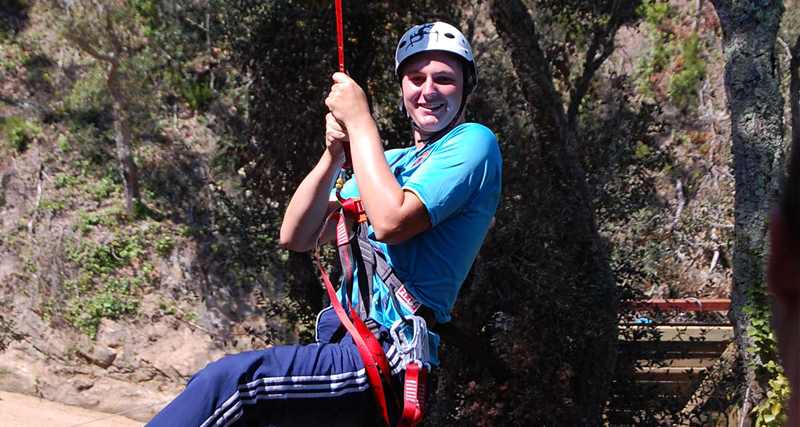 SPORT: These activities in the sea and in the mountains are our most successful activities that every child enjoys. 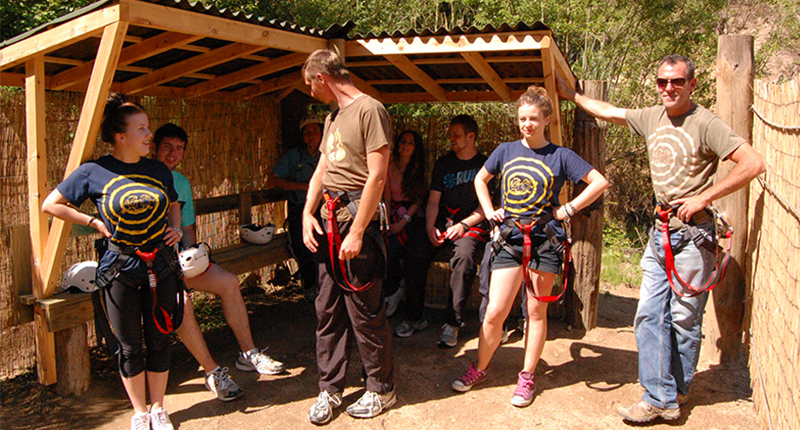 Adventure activities such as: Abseiling, Climbing, Archery, Shooting with pellet guns, archery, horse riding etc. LEISURE – SPORTS: These activities focus more on the aspect of the game and teamwork. 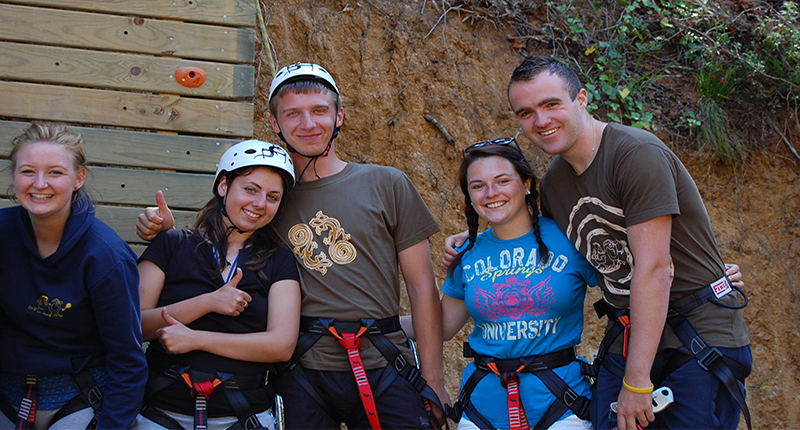 These include: Problem solving games, raft building, team games, beach games, pool games, excursions, shops and shopping. These activities are projects or theory classes done entirely through English. Children will work on different aspects of language individually or in groups. These activities always focus on everyday issues that normally have nothing to do with the teaching approach done in classrooms. We work with music, dancing and role plays or other areas that the students have interest in and have fun doing. Students receive encouragement while practicing their English. Their multiple intelligences are working at all times. Song and dance: Students learn choreographed dances and learn the lyrics to songs that are trendy at the moment. 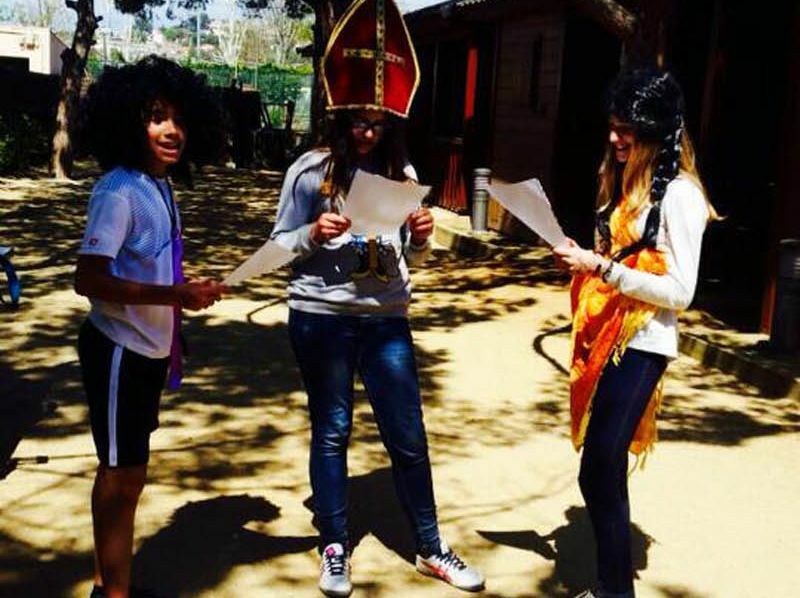 Sketches and Role plays: The students learn short scenes from real life situations while having fun doing so. 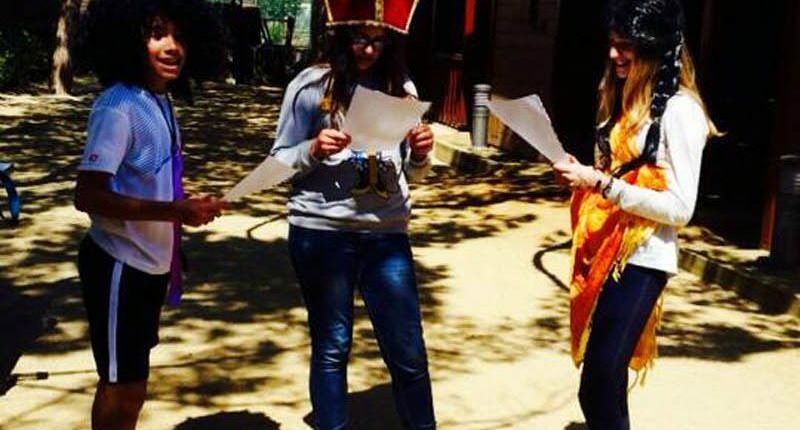 The students learn from role-plays suited to their age and level. Once they have practiced they dress up and act out their scenes. Projects: These are English projects that allow the entire group to focus on practicing English in all its phases; speaking, writing, listening and reading. The projects are decided upon by taking into account the age and level of the group. Every night from 21:30 to 23:30 there is a disco for all of the groups to enjoy. We have created a rota system where between three and five monitors will be present at every disco to ensure students have the opportunity to speak English at all times and enjoy the company of our fun and energetic native English speaking staff. One night during the week our monitors at Grupos Organizados do a monitor show. This spectacular show is where our monitors do a show of dances for the groups. The groups can dance along as our monitors will have taught them the steps during their week with us. This show is funny, entertaining and interesting, the children always enjoy it. 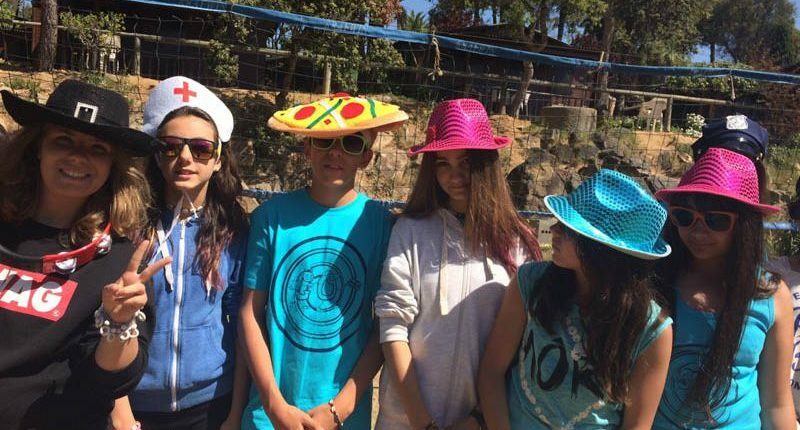 Our English week is aimed and suitable for all schools in Spain who want an unforgettable experience for their end of course trip; from the last years of primary school up to high school/secondary school. 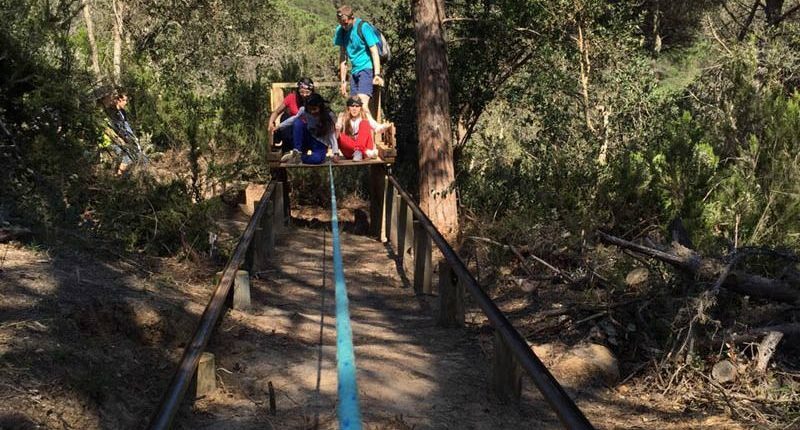 As well as allowing students to enjoy an amazing experience with their friends they also get to practice English in a very unique and unforgettable way. In order to ensure this, we always get in contact with the English departments of all schools as it is the English teachers who can really understand the added value of our English week. 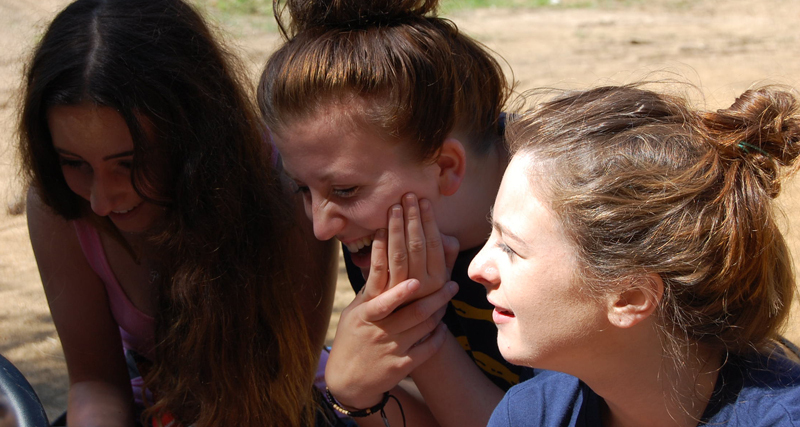 They are always interested in opportunities that allow students to experience English in a different way, in a context of friendship and fun that will make students see English in another light. We also work with the associations of parents of secondary schools as parents are often very interested in seeing their sons or daughters improve in their knowledge of another language. Grupos Organizados has ultimately created a product to suit every child, parent and teachers needs and wishes into a wonderful week, in which students learn to travel, live, play, sing and dance in English. Grupos Organizados works from two centers. One is located in Santa Susanna on the Maresme in the province of Barcelona and the other is in Tossa De mar along the Costa Brava in the province of Girona. These centers are 27 kilometers from each other and about forty minutes by car. 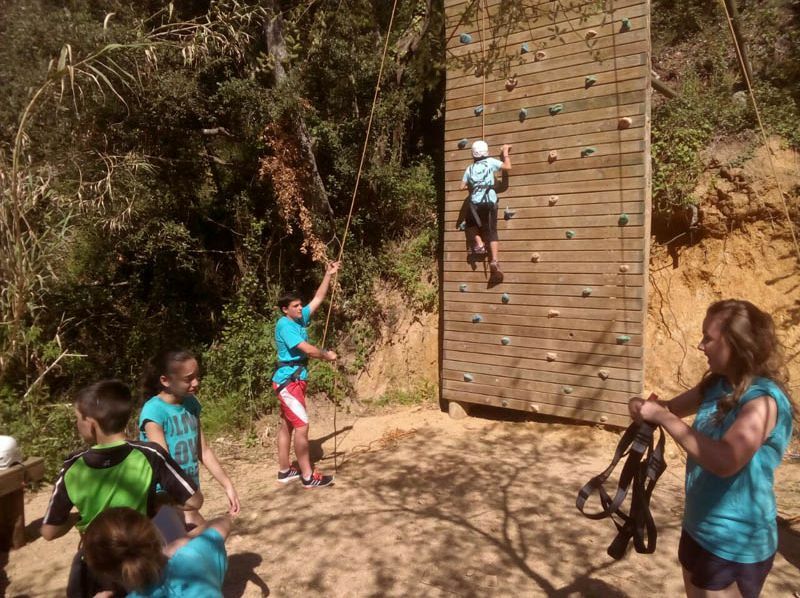 Grupos Organizados needs an area in which it can successfully develop its philosophy of total immersion that enables our clients to stay in constant contact with nature, sport and fun while practicing their language skills. Our two centers undoubtedly meet all our requirements. The beach, the trees, the swimming pool and the sun are all the pieces that make up both of our centers. All of these allow us to immerse ourselves in English while enjoying Mother Nature. Santa Susanna is a small village that is situated between the sea and the mountains. 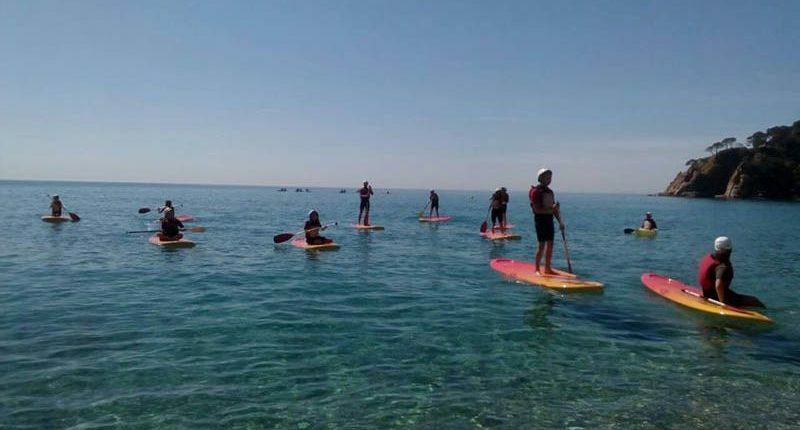 It has all the amenities that a small tourist village along the Catalan coast may offer; Shops, train station, the C-32 , hospital just 10 minutes away and the campsite in which we are based. We are based in a campsite on the beach no more than 50m from the beautiful Mediterranean Sea. The mountains of Montnegre are less than 5km away. The bungalows that our groups stay in are situated less than two minutes from the sandy beach. It is a modern day campsite that offers all the services expected. For example: Large swimming pool, buffet with views of the sea, football court, up to date bungalows, laundry services and an amazing stretch of beach to enjoy. The bungalows in which our groups stay are considered upscale. The majority of our bungalows have two floors, shower and bathtub, porch with table and chairs, heating, sleep six people and are accessible with a magnetic card. These bungalows are monitored by the groups accompanying teachers to ensure no damage is caused. The food is served in a magnificent restaurant overlooking the sea. Children can enjoy the buffet and eat as much as they like. Tossa de mar is a village known as blue paradise. It is located on the Costa Brava and is thousands of years old. It is a diamond in the rough for any visitor; it offers Roman ruins, a wall on the beach, beautiful coves, culture, entertainment and a magnificent castle. 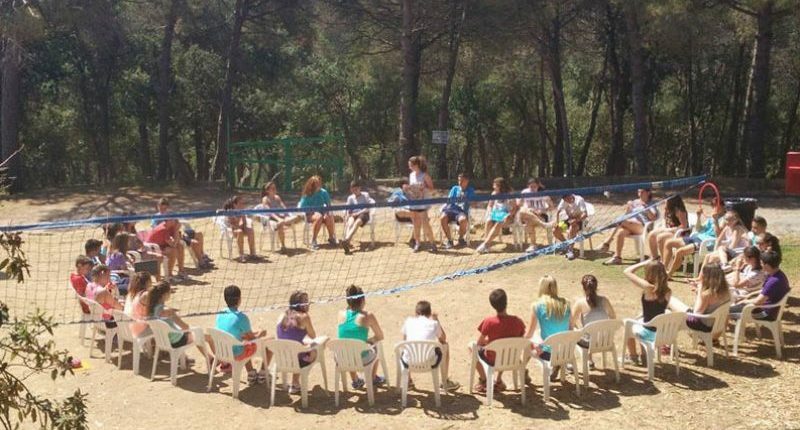 The campsite is located 3km from the village and is a campsite dedicated to groups of children. For this reason it´s design of bungalows and areas are very practical. 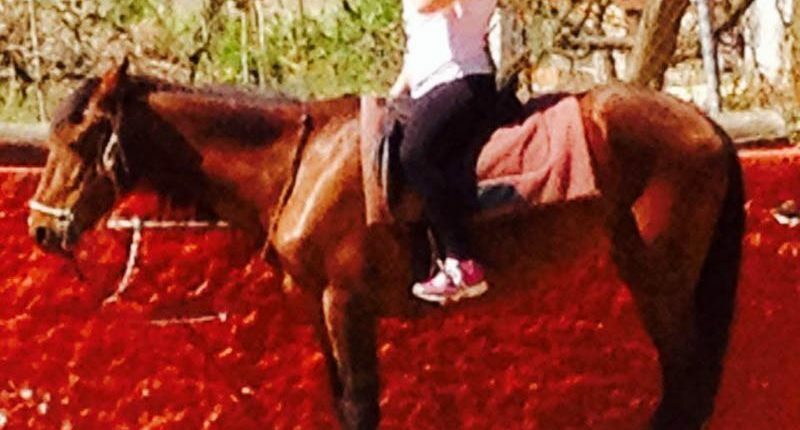 It offers a large swimming pool, tennis, soccer pitch, basketball, mini golf, grass football field and a huge forest where Grupos Organizados undergoes many activities. The bungalows are for six people and are designed for groups of boys and girls with space in between each one. They all come with a bathroom with a shower and central heating for the colder months. They are made entirely out of wood. They are situated in a way that the accompanying teacher can control the group without any problems. The food is served in a fantastic dining room next to the swimming pool where the children can enjoy a buffet of a rich, varied and balance diet. 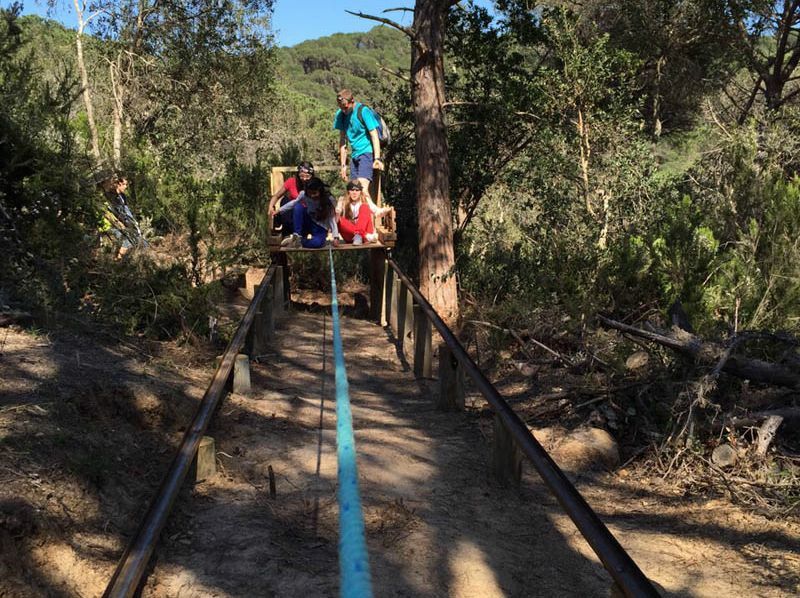 In both Santa Susanna and Tossa de Mar, Grupos Organizados has its own adventure centers built and designed to suit our groups’ needs. All follow the European standard and are certified by engineers. As well as this, we have all the respective permits for our activities in the sea. 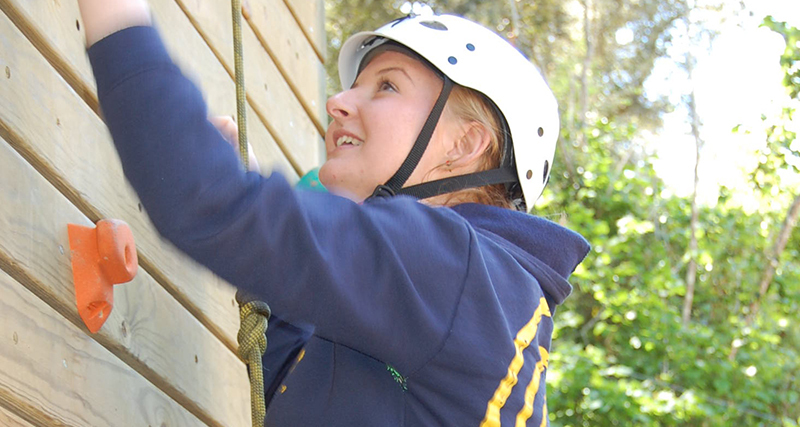 All our staff who work with activities have all the qualifications needed. students, for that reason we offer our support and experience for when it is needed, you can contact us either by email: gruposorganizados@gruposorganizados.com or phone: 972 340 638. All teachers who contact us will receive a standard letter which explains and specifies everything they may need to know, but even so we always advise teachers to call our reservations department at 972 340 638 for any doubts that could appear. It is important that teachers and schools know beforehand that Grupos Organizados is a reputable company that has more than 20 years experience in the industry. 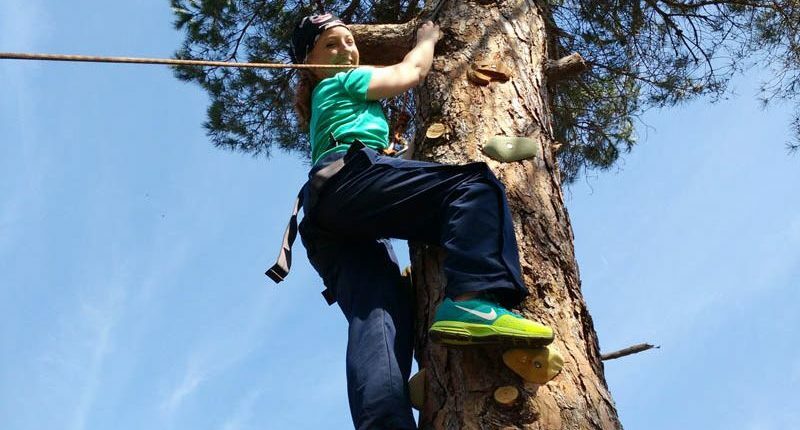 We are absolutely up to date on all relevant legal issues: CIVIL LIABILITY POLICIES, POLICY FOR ACTIVITIES, CONTRACTED STAFF THAT HAVE ALL THE QUALIFICATIONS NEEDED AND OUR ADVENTURE PARKS ARE ALL CERTIFIED BY QUALIFIED ENGINEERS. We let our teachers know how many bungalows your group has and how many students fit in each bungalow. To distribute the group quickly and conveniently on arrival, the teacher will bring the groups already formed. This allows the groups to be placed in the most practical way in order to facilitate teachers for when they have to supervise the children. We divide the large group into small groups to make the practice of English easier. These smaller groups are only for practice sessions. 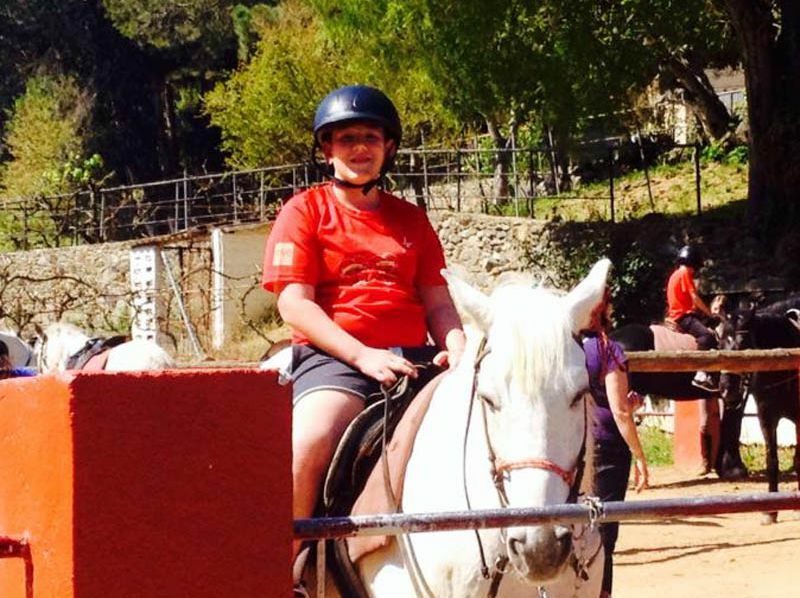 The large group will stay together for sports such as horse riding, adventure sports and water sports. If teachers want the smaller groups to be done by level of English they must bring the lists of names for when they arrive. ADD SERVICES / DAYS TO STAY. Groups must specify this when making their reservation as well as putting it on the reservation sheet so that grupos Organizados can book this with our campsites. 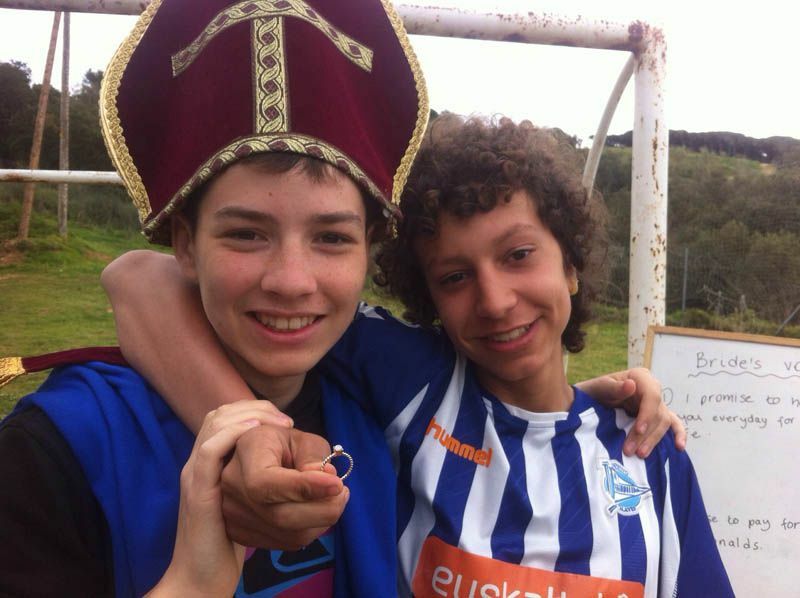 Grupos Organizados send your raffle tickets directly to your school by a private courier company. A trip away for two people; this includes dinner, accommodation and breakfast in a three star hotel (off season) of a known hotel chain. Around September 13th coinciding with the draw of ONCE. The winner must claim the prize up to 15 days after the draw and pick a hotel from the list that Grupos Organizados provides. Grupos Organizados makes the booking on behalf of the winner. The coast motorway C-32: Continue in the direction of Palafolls and take the exit that says Calella, Pineda, Malgrat, Santa Susanna. 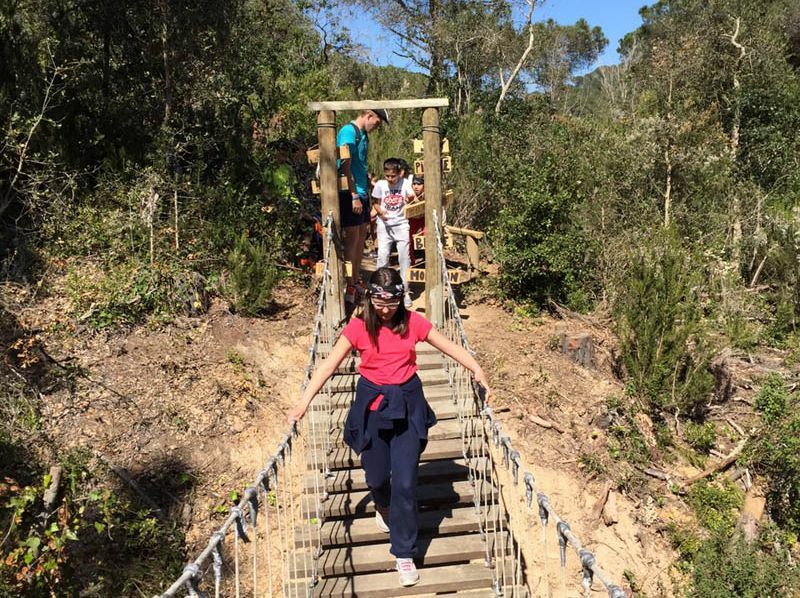 You will cross the town of Calella, continue on the road, you will pass through Pineda and just as you are entering under the bridge where it says Santa Susanna you take the right turn just in front of Carrefour. So you are facing towards the beach. You continue in that direction. Turn left. You will go straight through a roundabout. You will see the train tracks on your right. Drive straight until you come to a place that allows you to enter under the train tracks. Enter here and turn right straight away. Follow this road for 500m and you will see the entrance of the campsite CAMPING BON REPOS on your left. A-7: Direction of France and exit at Hostalrich, Blanes Costa Brava and continue until you reach a large roundabout where instead of going in the direction of Blanes you will turn right in the direction of Barcelona. After passing a petrol station on each side, exit to the right, indicated by a sign that says “Santa Susanna beaches”. You pass below the national road and face straight towards the beach. Continue on and go straight through the roundabout until you see the train tracks in front of you.. Turn right and then turn left to go under the train tracks, here you will turn right again. Continue 500m down this road and you will arrive at the entrance of CAMPING BON REPOS on your left. TRAIN STATION: The campsite Santa Susanna has a train stop from the coast line opposite it´s front entrance. It is the station “SANTA SUSANNA” and makes the trip Barcelona- Santa Susanna-Blanes, and the journey to Barcelona is one hour and fifteen minutes or so. So you can reach Barcelona Sants from anywhere in Spain and from there take the train from the coast to Santa Susanna. A-7: Direction France, take the exit “Maçanet de la selva” and continue on the direction of Sant Feliu de guixols and llagostera. When you are driving into llagostera there is a detour to Tossa De mar that is to your right. After 13km of bends you will arrive at the village. Here you take the road that says direction lloret de mar. After 3km the entrance of the campsite Cala llevadó will be on your left there is a large football field across the road from the campsite. You cannot miss it. Coming from the C-32: Take the last exit that says Blanes. Continue on in the direction of Blanes. Pass through the town and continue on in the direction of Lloret de Mar. Pass through Llloret de Mar and follow the signs that say Tossa De Mar. After 8km of bends and curves in the road you will see the entrance of the campsite Cala Llevadó on your right it is across the road from a large football field. Our English week begins each year during the month of March and ends in late June. This is when we start our summer school. 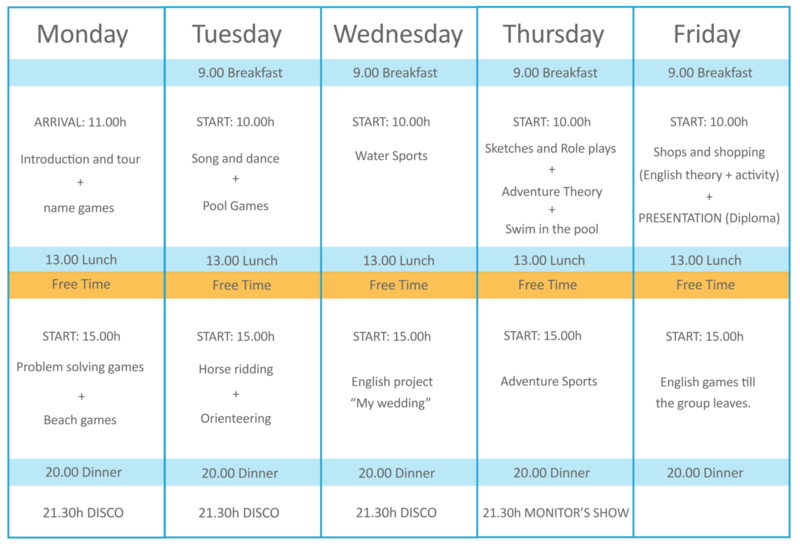 Each day the programme starts at 10:00 and ends between 18:30 and 19:00 depending if the group has activities or English theory. Then we start the disco at 21:30 until 23:30. The children have days that begin at 09:00 to have breakfast and finish at 23:45. Please take into account there is time outside of the programme where students can enjoy their free time and relax. The vast majority of payments are done through bank transfer. Prepayment or deposit is made before the group arrives and is always done through bank transfer. The rest of the payment can be done through bank transfer, cheque or cash. Grupos Organizados adapts to the client’s needs. 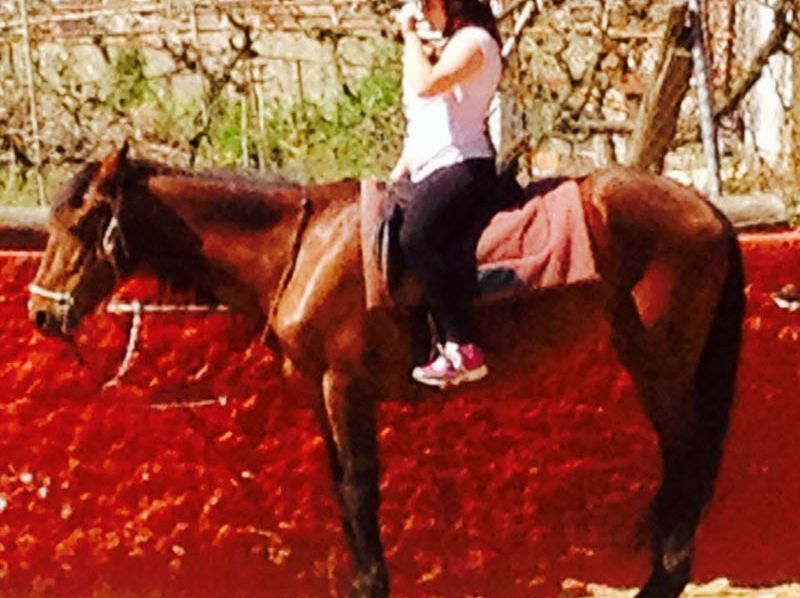 Horse riding (Santa Susanna) – forty minute walk with guided professionals. 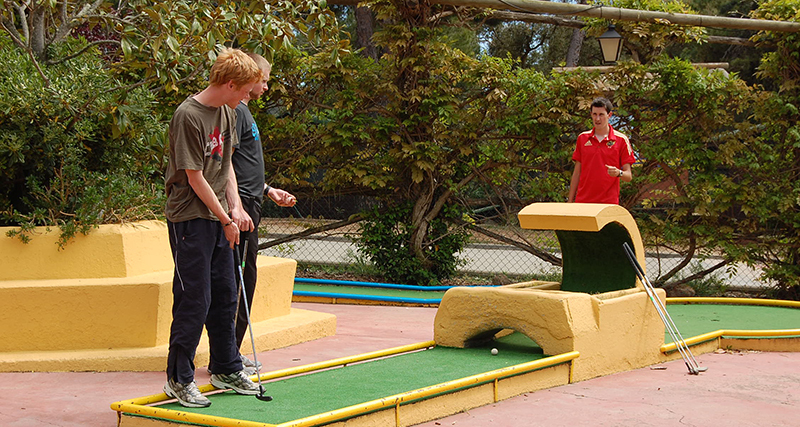 Sports facilities for use during free time: Swimming pool, Tennis, ping pong, football, mini golf, basketball, volleyball.